يشكل فندق Byron Sunseeker Motel بموقعه الممتاز في قلب تاون سنتر نقطة انطلاق ممتازة لاستكشاف خليج بريون. إن موقعه الجيد الذي يبعد 1.2 km فقط عن مركز المدينة يساعد النزلاء على الاستمتاع بمعالم المدينة ونشاطاتها. كما يمكن الوصول بسهولة إلى بلاك دوج سارفنج, ‪All The Sales‬, امباج. كما يقدم Byron Sunseeker Motel الكثير من الخدمات لإغناء رحلتك في خليج بريون. تتضمن الميزات الرئيسية في هذا الفندق: واي فاي مجاني في جميع الغرف, خدمة التنظيف يوميًا, مجهز لذوي الإحتياجات الخاصة, مرافق مخصصة لذوي الاحتياجات الخاصة, تخزين الأمتعة. لقد جهزت هذه الإقامة الفندقية بعناية فائقة لتوفر مستوى عالي من الراحة. في بعض الغرف يجد النزيل تلفزيون بشاشة مسطحة, اتصال لاسلكي بشبكة الإنترنت (مجاني), غرف لغير المدخنين, مكيف هواء, تدفئة. إن حمام سباحة خارجي, حديقة هو المكان الأمثل في الفندق للاسترخاء وتفريغ طاقتك بعد نهار طويل. إن Byron Sunseeker Motel هو خيارك لخدمة الفنادق الراقية في خليج بريون. يرجى العلم أنه إذا كانت إقامتك أثناء فترة الحفلات المدرسية، فيجب عليك دفع سند نقدي بقيمة 500 دولار عند الوصول لكل وحدة أو كوخ، ويجب على كل النزلاء التوقيع على شروط وأحكام الموتيل كما يجب عليك تقديم تفاصيل الاتصال لجميع أولياء الأمور (تحسبًا لحالات الطوارئ). يُطلب من الضيوف الذين سيصلون بعد 07:30 مساءً الإتصال بالعقار مباشرة قبل موعد وصولهم. Easy to find. We bought all food and ingredients beforehand, the nearest supermarket is 5 minutes by car. There is a huge BBQ gas stove in the public area. You can make good use of the oils and seasonings there. 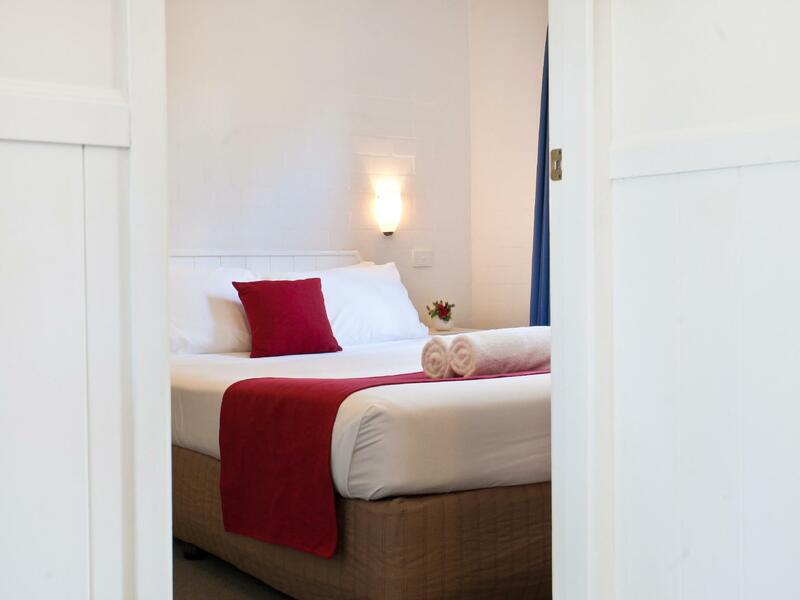 The room is overall neat and tidy, good choice for a short stay. Just spent a few great days at the Sunseeker Motel. 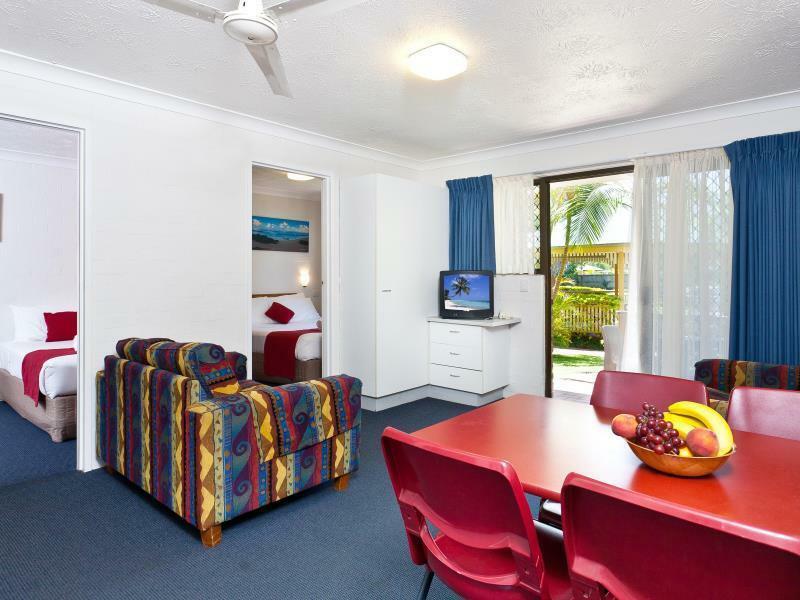 It is a great motel in a great location, close but not too close to the traffic and action that is Byron Bay. Great greeting on arrival and it continued throughout the visit. Give this one a go for value for money, location, amenities, and people who always make a holiday great. Deborah and Graham were very welcoming and friendly and provided advice on where to go, where to eat, etc. I stayed in one of the cabins which was very clean, spacious and comfortable. Overall, a great place to stay and I would return. The Sunseeker is a great little place with lovely staff and a wonderful outdoor entertaining area. Fully equipped BBQ area and the pool is lovely. Rooms are comfortable and clean. I will definitely be back. We are a young family with a 4 months babygirl and stayed at the property for 4 no nights. 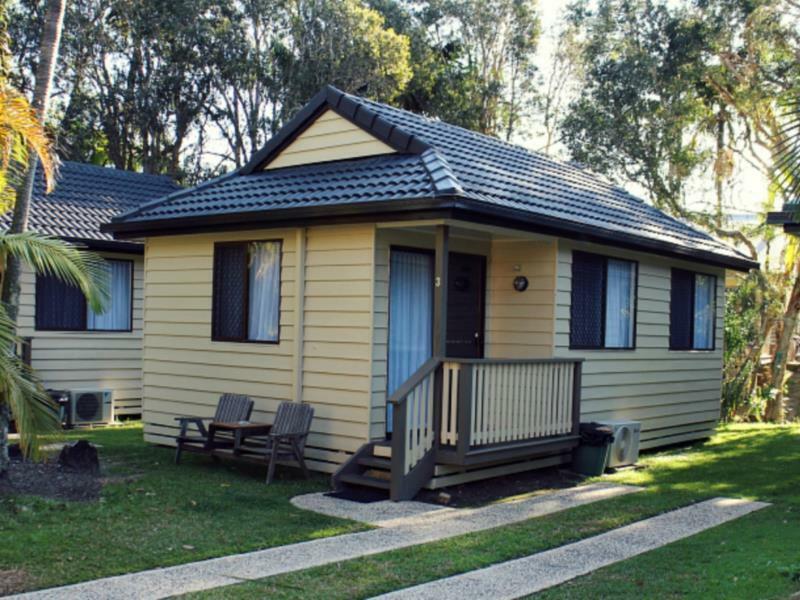 This was our favourite place of in Australia of all the places we chose for accommodation across our 1 month trip here. The property is just the right size and is a very quiet and relaxing place. We stayed in one of the cottages, just outsite the pool and bbq area. The cottage was perfect in all ways - exactly the right size for a small family (living room with kitchen, bathroom and bedroom with 2 beds, double + single, and enough space to add the baby cot we were provided with). Everything was very clean and well looked after and in the kitchen we had everything needed to cook some veggies to go with the bbq meat. Deborah and Graham, the owners, were the loveliest of hosts and made us feel at home! We highly recommend the Byron Sunseakers and will definitely retun next time we come to Byron Bay. 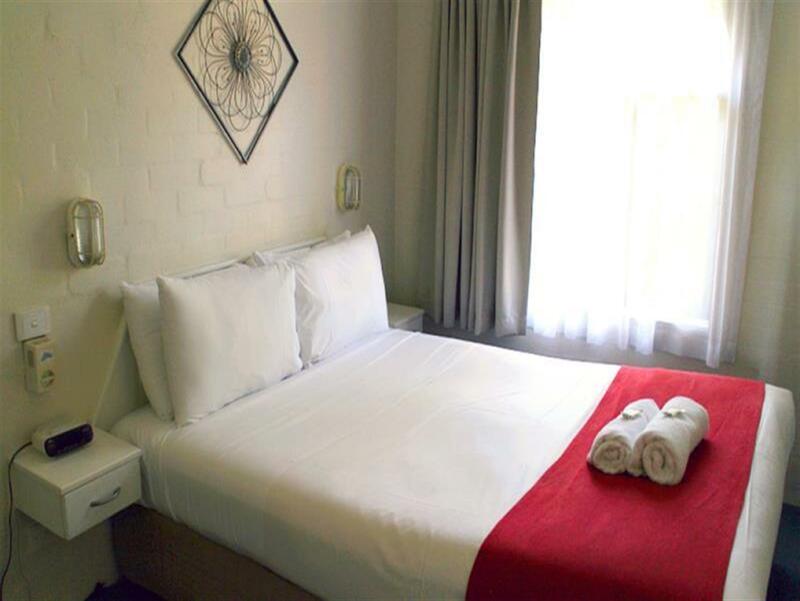 Our cottage was quiet, clean and comfortable and fully equipped for a long stay. The staff were friendly and helpful. Only minor thing was that the beds seemed a little short, and I'm short. We'd definitely stay again. 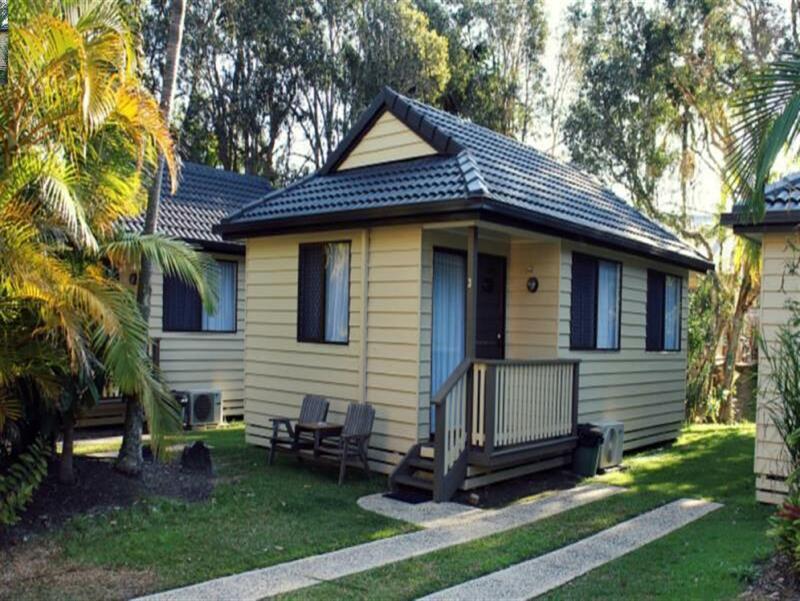 I had a lovely time in Byron and the stay at Sunseekers was great. The only complaint was my friend had an uncomfortable sleep in the single bed because it seemed to be slopping to one side. Otherwise the facilities are great and the owner is lovely. A decent walk into town but let's you sober up by the time you get home. I had a great stay at this motel. I wanted to check in early due to having a wedding at 2pm the day of check-in and noted this request on my Agoda booking. Within 24 hours I had a call from the motel to confirm that I could check in at 11am at no extra charge. From the moment I arrived the service was friendly, homely and attentive. The couple that run the place are such lovely people and really do go out of their way to ensure a great stay. I will be back soon and have already recommended the motel to friends and family. Thanks again! The stay was great overall, and was very quiet. It was easy to get to the city, and we felt safe especially my daughter who gets scared of new places easily. We highly recommend it to families with small children who are looking for a getaway to a beach. Very nice place with super-friendly staff. Just a little bit further out of town than we thought. So parking was a problem every time you needed to go to beach, shops etc. also a clothes hoist would have been helpful in the room to hang wet towels/swimmers etc. But other than that a nice place to stay. We had a cottage which is of decent size with designated lounge area, kitchen, dining and attached bathroom.. There are coin operated washing machines for yr laundry behind the reception which was great. 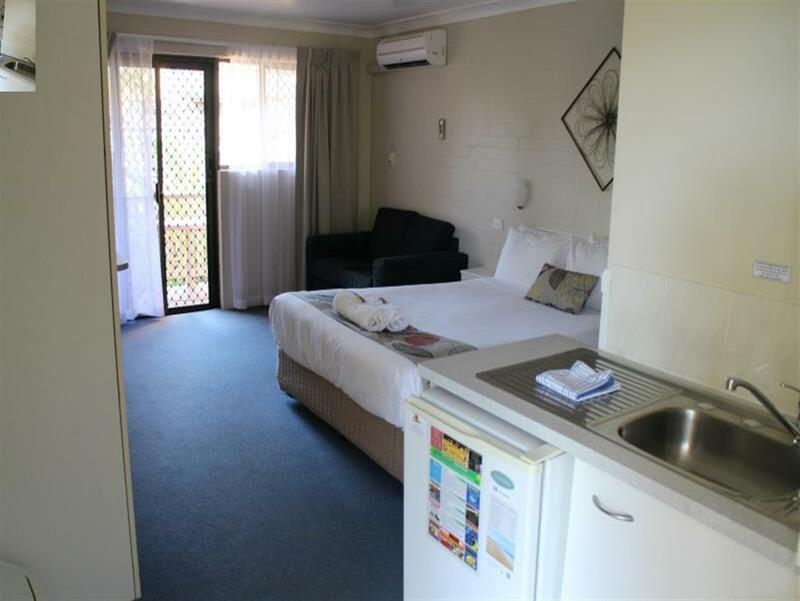 I was staying with this motel last week and we checked in late as we came all the way down from Sydney by car. Debbie was so nice to be waiting for us and gave us a lot of Byron Bay info which we were very grateful for. 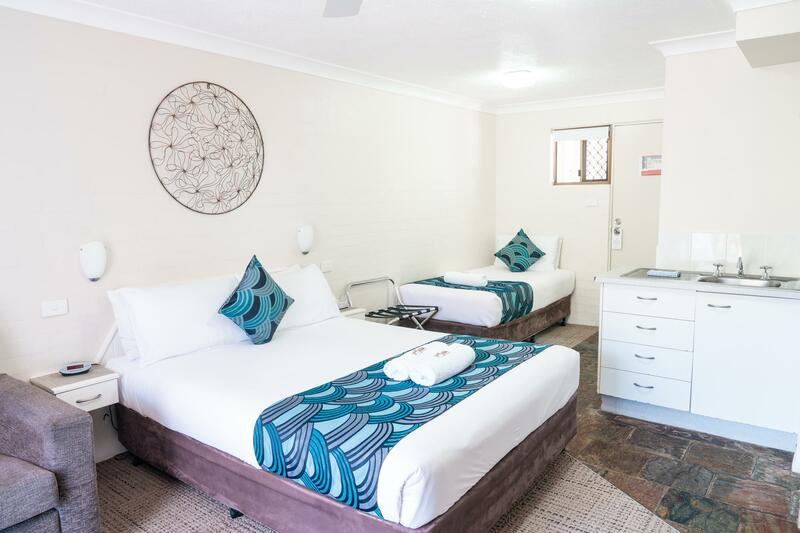 This motel's are basically quite old but we were grateful to be given a big room with plenty of space for the kids to move around. One note though, the showroom was a bit tight. But we had a a happy stay for us and I do recommend families with young toddlers to stay here. The room was clean in a reasonable size for 4, there was a small kitchen and a balcony. Beds were clean and the place was nice. It takes about 5-7 mins drive from the city center or a 20 mins walk. Quiet area. A really nice place to stay, quiet, clean and friendly. With a lovely pool.